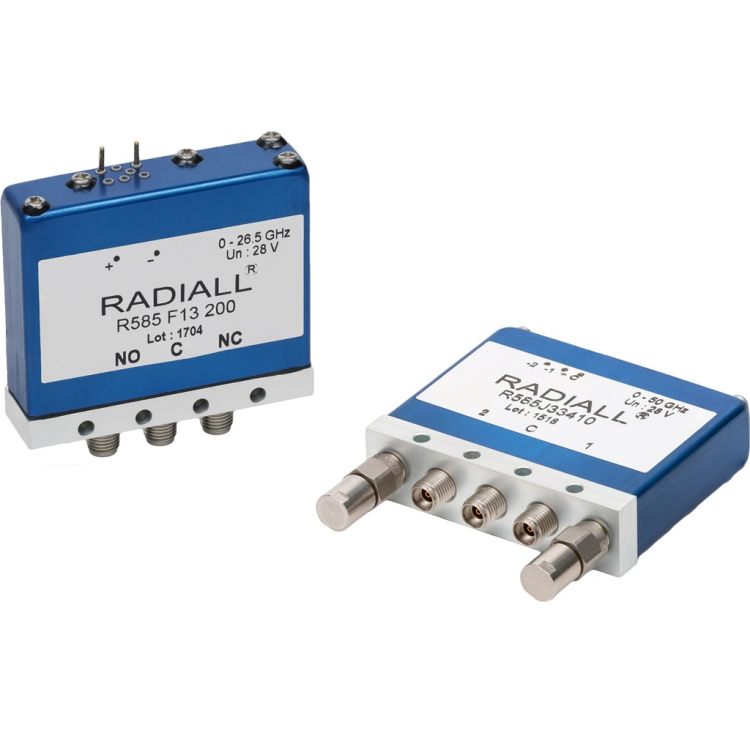 Radiall's RAMSES R585 DP3T (Double Poles Three Throws) and Terminated SPDT (Single Pole Double Throws) switches offer excellent reliability, high performance and operating frequencies from DC to 40 GHz. Terminated SPDT are fitted with internal or external 50 ohm loads. These switches are fitted with SMA (up to 26.5 GHz), SMA2.9 (up to 40 GHz) and 2.4mm (up to 50 GHz) connectors.